Multiple sclerosis (MS), an autoimmune disease of the brain and spinal cord, affects about 2.3 million people worldwide (400,000 in the United States). Affecting more women than men, it can be seen at any age, although it is most commonly diagnosed between the ages of 20 and 40. An unpredictable disease that disrupts the flow of information within the brain and between the brain and the body, MS is triggered when the immune system attacks the myelin sheath, the protective covering around the axons of nerve fibers. 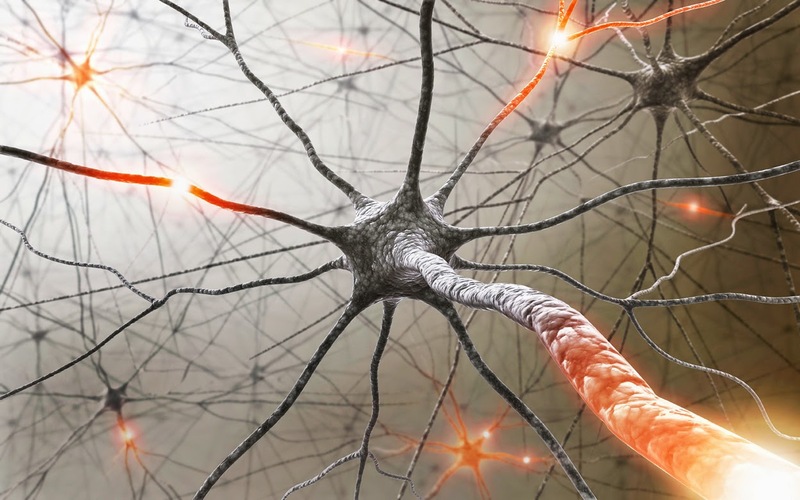 The "demyelination" that follows causes a disruption of nerve impulses. As the protective sheath - best imagined as the insulating material around an electrical wire - wears off, the nerve signals slow down or stop, and the patient's vision, sensation and use of limbs get impaired. Permanent paralysis can result when the nerve fibers are completely damaged by the disease. Given such debilitating effects, an aggressive search is on among scientists to find a cure for MS. Currently available therapies are only partially effective, however, in preventing the onset of permanent disability in MS patients. What would be immensely helpful is a drug that could minimize the degeneration of axons, thus reducing the rate and degree of MS progression. Better still would be if this drug could stimulate "remyelination", the re-sheathing of the axons, restoring fast and uninterrupted flow of nerve impulses. Now a team of researchers reports in the Proceedings of the National Academy of Sciences that it has identified just such a drug in the lab: indazole chloride (Ind-Cl). Ind-Cl is a chemical compound that stimulates an estrogen receptor, ERβ. As is well known, pregnant women with MS get near-complete relief from MS symptoms in their third trimesters. Estrogen levels, which are high at this time, have neuroprotective benefits, alleviating the MS symptoms. After the birth of the baby, estrogen levels plummet in the mother and the MS symptoms return. This readily suggests that estrogen could be given to MS patients, except that high levels of estrogen are linked to breast and uterine cancers. Further, men would largely be reluctant to take estrogen due to its feminizing effects. Enter Ind-Cl. This structurally unique ligand turns on the body's estrogen receptors without the negative effects of excessive estrogen. The work on mice suggests that the effect of Ind-Cl is permanent. But perhaps more significant, Ind-Cl remyelinates, that is, it makes new sheaths around those axons that have not been lost for good. This means Ind-Cl not only inhibits inflammation but is capable of reducing axon degeneration and restoring neuronal function. To ensure that the remyelination the team observed in the MS mice was due to Ind-Cl and not to an immune response, the team administered Ind-Cl in mice whose oligodendrocytes, the cells responsible for remyelinating axons and myelin, were selectively decreased. They found that remyelination occurred more efficiently in mice after they were given Ind-Cl. This means Ind-Cl works in two ways: through the immune system in terms of reducing brain and spinal cord inflammation, and directly by remyelinating the axons. The researchers noted that Ind-Cl can be tweaked to make analogs that could work even better at alleviating MS symptoms, and they expect some of these analogs will soon go to clinical trial.